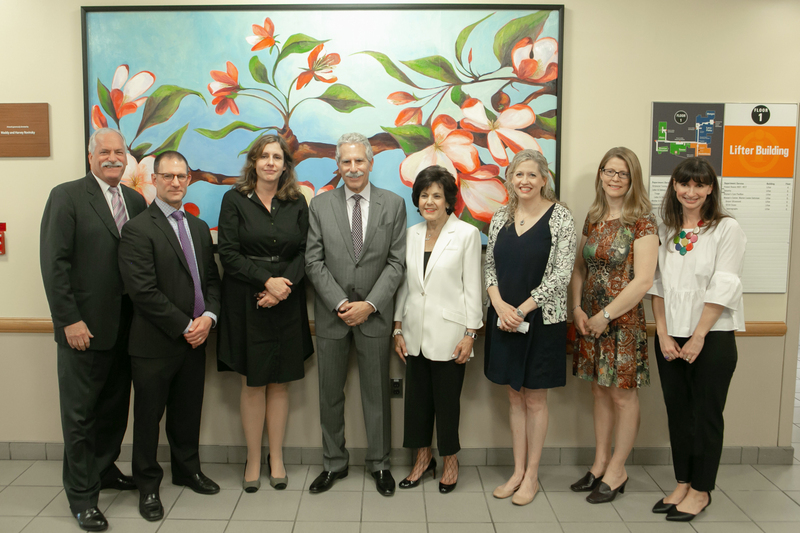 On May 11, 2018 several works by MamaCITA artists were unveiled in the Ann Newman Maternity Center Lifter Building lobby and waiting room at Einstein Medical Center Philadelphia. 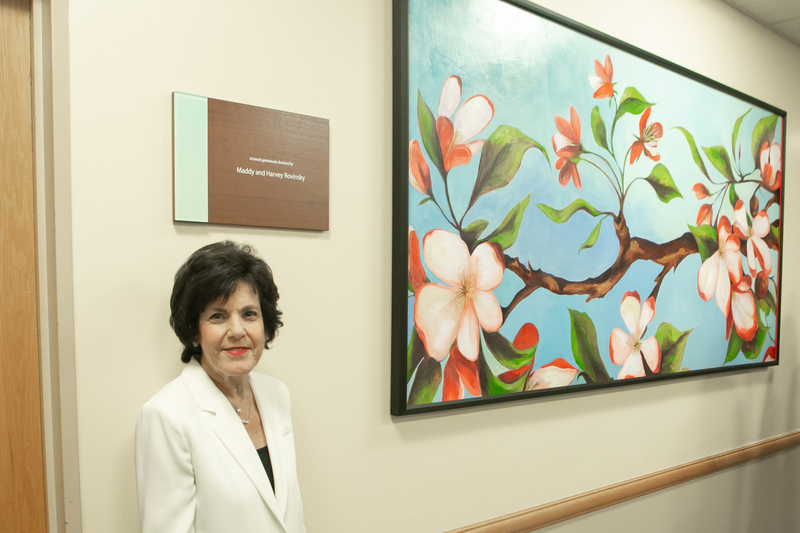 “The art work brings a warm welcome and is meant to reflect the compassionate care we provide, ” said Dr. David M. Jaspan, Chair of Obstetrics and Gynecology, during the ceremony. This commission was made possible by a generous gift from Maddy and Harvey Rovinsky, owners of Bernie Robbins Jewelers and longtime Einstein supporters. Barry R. Freedman, President-CEO Einstein Healthcare Network, David Jaspan, DO Chair of Obstetrics and Gynecology, Ruth Lefton, COO, Lawrence Reichlin, Chairman of Einstein’s Board of Trustees and Board of Overseers, Maddy Rovinsky, member of Einstein Healthcare Network Board of Trustees and art benefactor, Megan Grugan, MamaCITA artist, Julia Way Rix, MamaCITA artist, and Michelle Ciarlo-Hayes, MamaCITA artist in front of “Garden of Possibilities” by Megan Grugan. 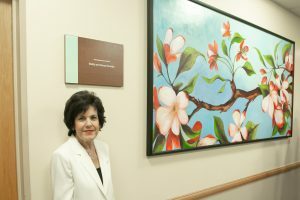 Art Benefactor Maddy Rovinsky in front of “Garden of Possibilities” by Megan Grugan.